Hey everyone; Just wanted to send an FYI out on a great new product that our company (John Hughes Custom Painting), use on every job. 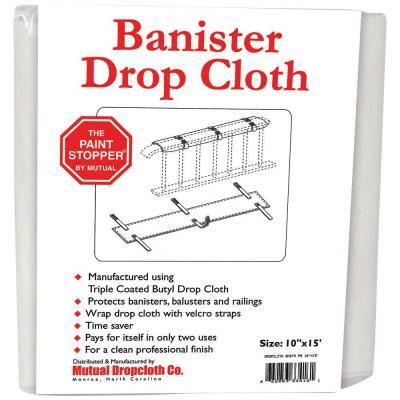 The Banister Drop Cloth is sold only ONLINE with HOME DEPOT. We love this product. It is 15 ft. in length X 10 in. in width. It attaches quickly with sewn-in hook-and-loop straps, and also has a patented paint-stopper formula embedded into the fabric. We found it also can be doubled as a drop/cover for fireplace mantels, which comes in handy. Takes up near NIL SPACE in your work vans/trucks.